School Uniform Clothing promote the virtue of professionalism, bridge the economic differences among all the children by bringing them all on an equal scale and promote a sense of belonging to the school. Needless to say, a school uniform is an identity in itself. 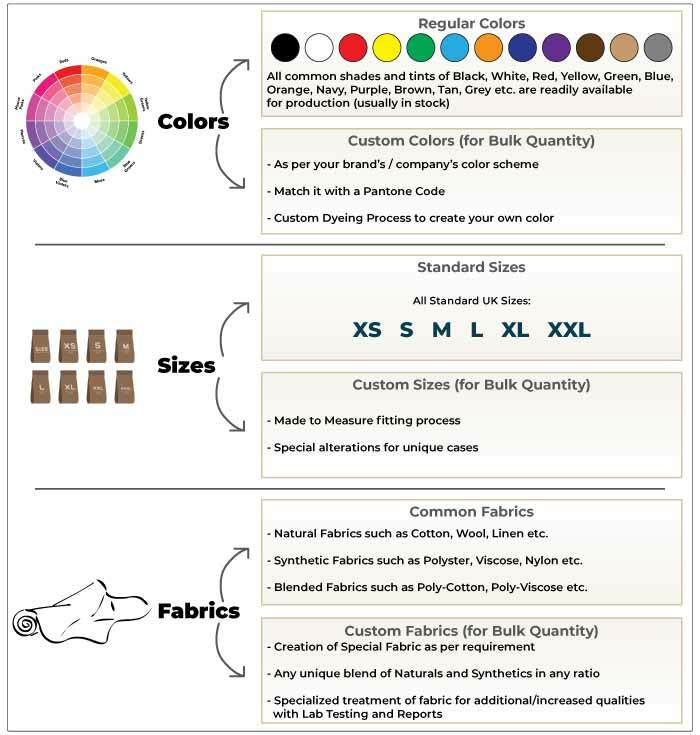 As a school clothing supplier, we provide a large variety of customized uniform design options for school uniforms in the UAE as well as abroad. Range includes all types of School wear including Track Suit, track shoes, shirts, pants, shorts and more. Short sleeve or long sleeve school uniform shirts solids, checks and stripes. Durability is a must for pants, especially for school uniforms in UAE, as the heat and dust are always battering on them. We offer high quality school uniform pants with special focus on durability and comfort. Shorts are focussed on the younger students and hence the same (if not more) care goes into manufacturing the school uniform shorts as in the pants. Exposed to continuous heat and dirt in the playground, we provide high quality school uniform shorts for the kids. Our school uniform skirts for girls are made with same attention to fabric and are made keeping durability and comfort in mind. Basic short/long sleeve polo shirt school children. 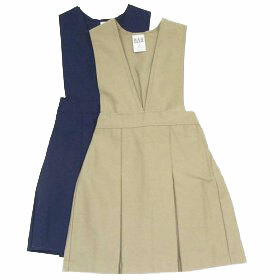 Customized design for the body, collar and cuff as per the school uniform requirements. Short sleeve or long sleeve and fully customized to school parameters. Sleeve less long dress for young girls, with box pleat at back and front down pockets and a closer with button or zipper. 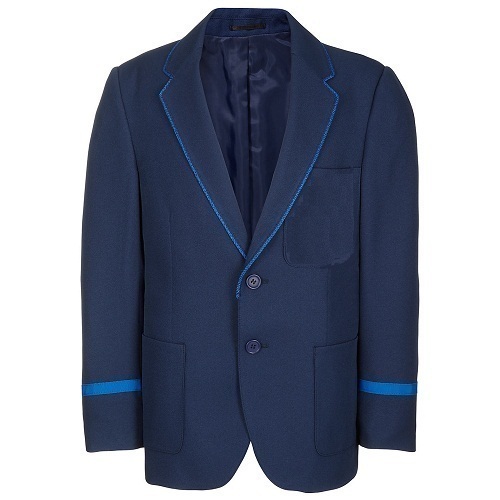 School blazers with school emblem badge on chest pocket (or without). We provide solid or striped blazers. Can be customized with contrast piping on lapels and sleeves as per school color. Sleeveless sweaters or full sleeve with contrast details as per school requirements. V-Neck or Crew Neck. We provide traditional or shawl collared cardigans. Sports activities in schools are necessary for the overall development for children. 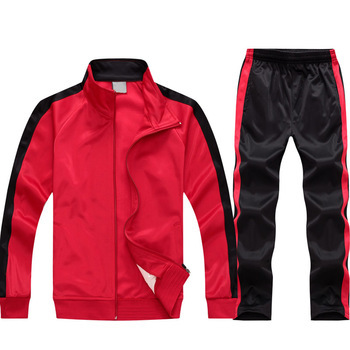 We provide high quality track suits with multiple pockets for both boys and girls. For sports activities at schools be it basketball or soccer we provide sports shorts for boys as well as in complete sets. For details see sports uniforms collection. 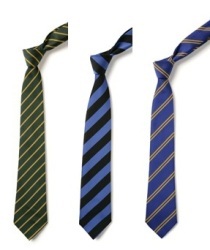 Choose between solids, striped and plaid school ties as per school guidelines. With or without school emblem or logo. Solid or striped belts that go with the school color theme. With or without school emblem or logo at the buckle. 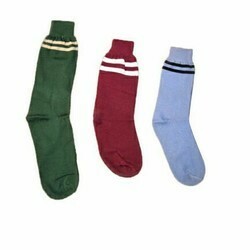 School socks in solids, stripes or patterns. School crest/emblem can be embroidered to elevate the uniform to a higher level. We provide leather or canvas school shoes with option for laces or straps.